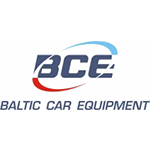 Baltic car equipment (BCE) is one of the major Baltic telematics companies. The company operates in Europe, Russia and the CIS countries, Africa and, obviously, the Baltic states. BCE boost several business dimensions at once: transport management systems production, vehicle accessories distribution and various telemetrics projects implementation (databases formation, mobile payments). The chart below shows the changes within the last 30 days in the number units of Baltic Car Equipment (BCE) devices type are connected to Wialon Data Center.